A few months ago I introduced you to Jessica and her Etsy shop, Keep Em Busy. My boys love the I Spy Bag Jessica sent for review. I was really impressed with the workmanship and the quality of the piece Jessica sent, and was excited to be able to have the chance to review a new product from her shop! 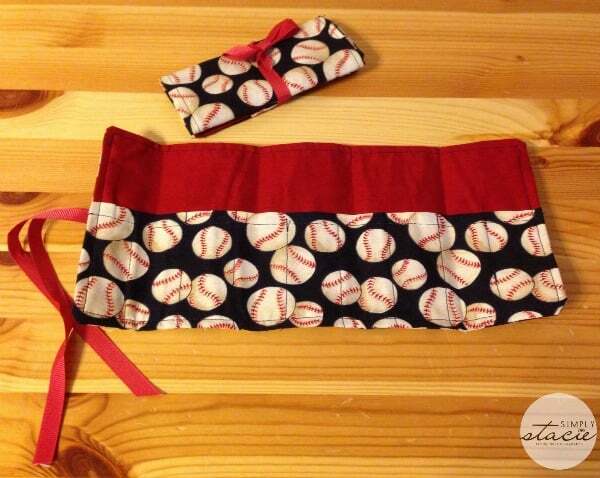 Jessica sent both of my boys a baseball-theme crayon roll from her product line. These cotton rolls are created to hold up to 18 crayons. The quality of these rolls is outstanding. The cotton fabric is durable and the simple ribbon closure is secure and easy for little hands to manipulate. I love these for travel – they are the perfect size to throw in your purse, an overnight bag, or a backpack. 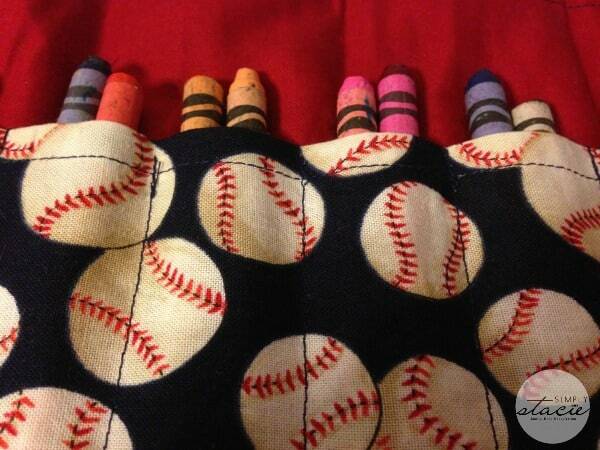 This is the first crayon roll I’ve seen that’s been able to accommodate so many crayons. Both of my boys were able to easily take out and put back the crayons as they used them. I think these would make excellent stocking stuffers – and at only $6, they are a steal! 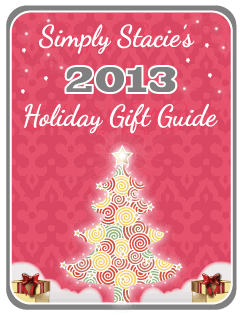 Plus, they are available in any color, pattern or theme – all you have to do is let Jessica know what you would like. Jessica is a stay-at-home-mom to a little boy who was the inspiration for opening Keep Em Busy. 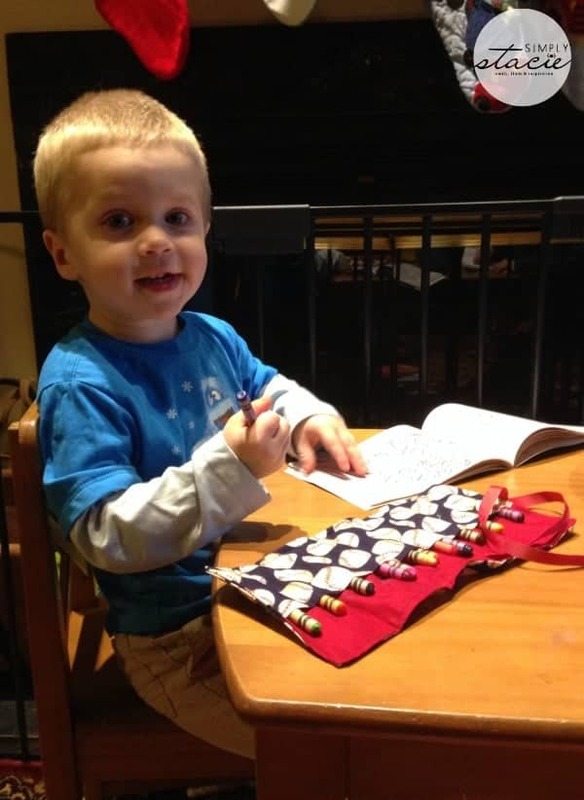 She loves to create and find new ways to keep her little guy busy, and uses her shop to share those ideas with other parents. Her shop is full of neat activities for little ones, including I Spy Bags, travel art cases, custom puzzles, and more. To see all the fun stuff Jessica has to offer, visit her shop. I like the number matching game! I like the I spy bags. I Spy Bag — Alphabet. I like the Drawstring Alphabet Bag — Bright Color Letters. The Spelling with Beads product is superb. My daughter would love it! I like the i spy bag too. I like the All Girl I Spy Bag. I also like their Double Layer Chair Pocket! I like the Travel Changing Pad. The Spelling with Beads set is pretty brilliant! I love the i spy bag the most. I like the I Spy Bag — Under the Sea — Ocean Animals. I like the Travel Changing Pad and Wipe Holder! I Spy Bag — Alphabet looks really neat! I like the Drawstring Bags! I like all of the spy bags! I like the double layer chair pocket. My son has behavioral specialist, due to ptsd & strokes and they bring this all the time! The i spy bags are really cute. I love the Drawstring Alphabet Bag — Bright Color Letters . I like the Travel Changing Pad and Wipe Holder. Love the undersea I spy bag! I also like the Small Personalized Composition Notebook — Set of 3 — Available in Any Color.